Vladimir Pantelic, the man behind the delightful rings of light and rhythm of Euclidean Circles, has released a standalone version. He says it’s “for somebody who has no Eurorack but still wanted cool rhythms and lots of blinking LEDs”. Sounds like a fabulous idea to me. 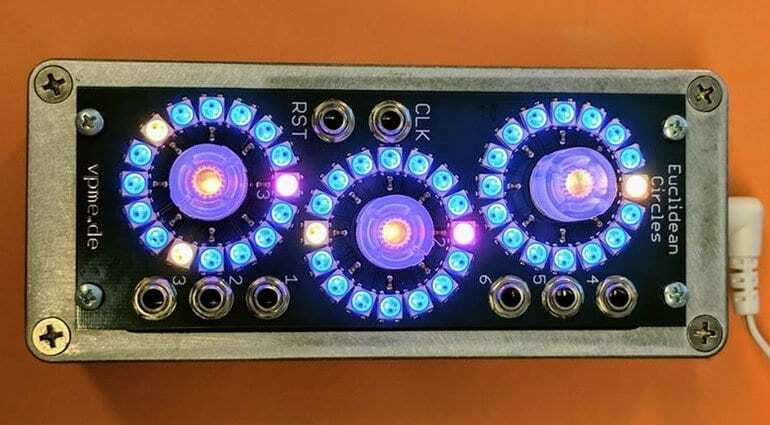 It’s a striking Eurorack module. Those three rings of 16 bright LEDs surrounding a glowing centre are very distinctive. Easy to spot in the racks of the most discerning modular musicians. Euclidean Circles is a 3/6 channel 16 step rhythm generator. It has 6 trigger outputs, the first 3 trigger on the activated (lit) steps, the outputs 4-6 trigger on the unselected (unlit) steps. The idea of the Euclidean algorithm is that if you distribute a number of beats evenly over a larger number of steps you will create a musically useful rhythm. You can easily distribute 4 kick drums over 16 steps, or 8 hi-hats in the same space and generate a very familiar rhythm. But the same thing happens with more complex distributions, such as 5 beats in 16 steps or 7 in 12. And these get all the more interesting when combined with others. Euclidean Circles does this in a brilliantly visual and simple to use way. 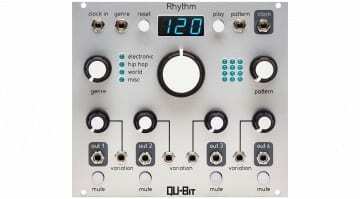 It can generate complex and evolving rhythms in no time at all. Check out the basic operation video below for a simple walkthrough. 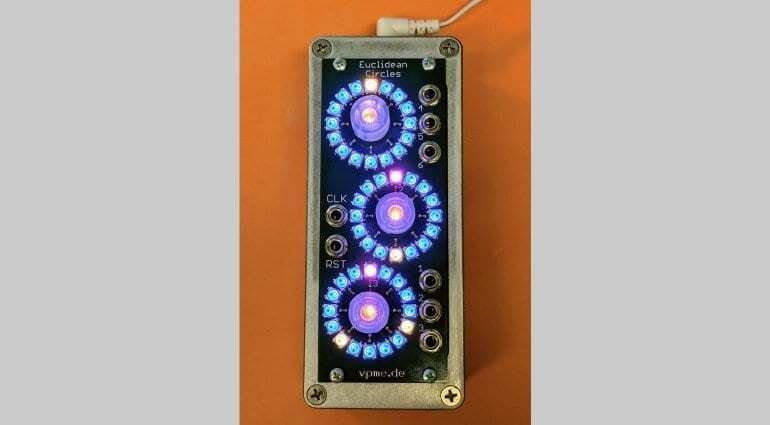 The standalone version is Euclidean Circles is simply the original module in a 10hp case, with its own power supply. 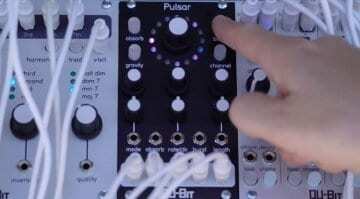 You could then patch it into whatever triggerable gear you have without the need of a Eurorack case. 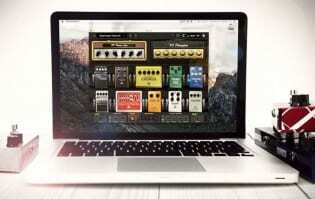 It could be perfect for partnering up with all sorts of cool desktop synths that we find in abundance these days. Boxes from Bastl Instruments, Korg Volcas, Dreadbox and so on. But of course, this could also be the trigger that plunges a load more people into the addictive world of modular synthesis. 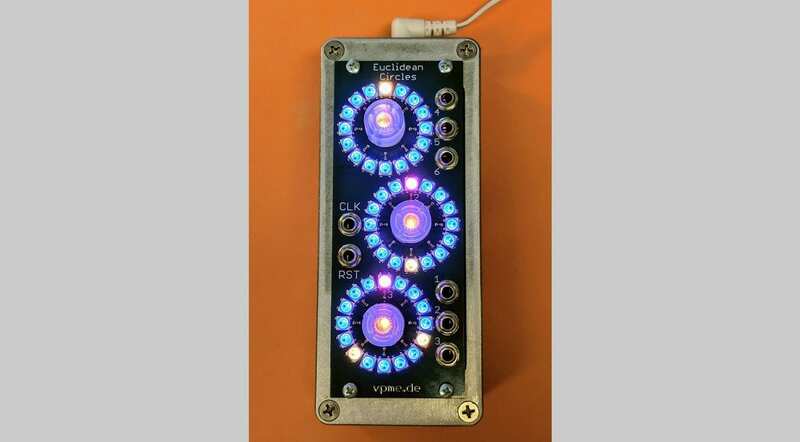 Vladimir will build a Euclidean Circles module for you for €250 plus shipping. The standalone version, with the power supply, will add another €60 to that. 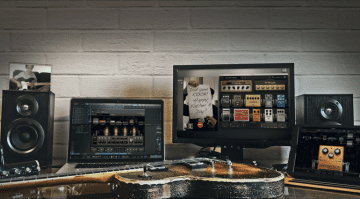 I wonder if he’d consider doing one with a MIDI interface built in for even greater desktop integration potential? The standalone version is not currently on the vpme website, but he posted some details on his Facebook page. But if you are interested just drop Vladimir an email.